This classic Big Bang text neatly describes what happened after the bang. Yet, until recently, particle physicists and cosmologists were stuck on many questions that the Big Bang Theory still couldn't answer, primarily: If matter can neither be created nor destroyed, how could so much matter arise from nothing at all? 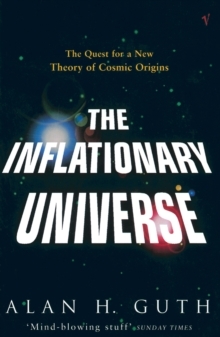 Alan Guth's Inflationary Universe Theory answers these vexing questions. When NASA's Cosmic Background Explorer satellite measured the non-uniformities of the cosmic background radiation for the first time in 1992, the patterns agreed exquisitely with the theory's predictions.